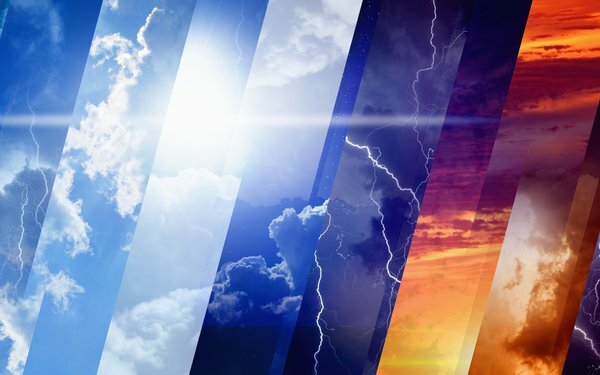 After mastering the ability to use weather as a trigger to target digital advertisements, IBM plans in 2018 to focus on integrating "weather analytics" into ERP technologies from companies like SAP, which offers a product forecast replenishment engine. "You're creating a virtuous circle that leverages the weather," said Paul Walsh, director of weather strategy at IBM. Now that platforms can forecast and target advertisements and marketing messages through mobile, social and other digital media, he said the next step will become ensuring brands manufacturer enough products and have the staff on hand to meet consumer demand. IBM will teach brands how to build forecasting models that consider temperature, so when it drops between 15 degrees and 20 degrees, the brands will have enough product to meet the demand created by marketing through advertising and marketing. That demand also is identified through searches on engines like Google and Bing. "We've analyzed with retailers the impact of Google searches on weather patterns and as you expect, the searches for specific categories and brands follows the weather trends," Walsh said. "If it's colder than 'normal,' you can see how the search trends, when people are looking for different product categories, map the same seasonality of purchase patterns." Marketers will spend a lot more time relying on weather triggers for ad targeting in 2018, especially since recent data shows that during season 2017, the clouds and the rain "turned on the holiday shopping spirit," Walsh said. Unseasonable and seasonable weather impacts how much consumers buy, along with the types of products they purchase, how consumers shop, and the price they're willing to pay. Since colder weather moved in earlier this year, compared with the past two winters, consumers began holiday shopping in November. Walsh said weather has everything to do with when people start shopping for holiday gifts. Not just for Christmas and Hanukkah, but Valentine's Day, Mother's Day and others. He said weather typically "turns on" holiday shopping. "When the weather changes into a new season, it triggers what we call seasonal firsts," Walsh said. "It triggers the early demand and feeling that, oh my gosh, Christmas is around the corner, and I need to go shopping." Walsh said the same thing happens in New York during the spring. Temperatures reach 60 degrees in March and people start worshiping the sun. In California, a climate that rarely has a major change in temperature, then suddenly see a 49-degree day, can have deeper impact than a five-degree swing in Minneapolis.